Shoreham beach will play host this coming weekend to the ‘World’s Biggest Beach Clean’, which is supported by Mackley and a number of other organisations. Organised by the specialist publisher ‘Be The Change Books*’, the World’s Biggest Beach Clean (4 March) seeks to raise awareness of the growing issue of the damage done to the world’s oceans by waste plastic – as vividly highlighted in the recent BBC series Blue Planet. The organisers are hoping to break the Guiness World Record for the largest beach clean, in terms of numbers of volunteers attending. The clean up also aims to demonstrate the impact humans can have on the environment, not only by helping to remove litter but also through their actions in terms of what they choose to buy. To emphasise this point, volunteers will be presented with ‘goody bags’ containing a range of reusable items including bottles, straws, cups and cutlery. The goody bags have been funded through donations by Mackley and other event supporters. To further highlight the need for action, volunteers will build a whale from the plastic retrieved during the clean, and spell out ‘ACT NOW’ on the beach. There will be a number of speakers on the day, including a representative from Kids Against Plastic and an environmental expert who will talk about the flora and fauna of the area. There will also be activities for children including ‘seaweed investigations’, a raffle, book reading and a treasure hunt. Working as part of Team Van Oord, Mackley is currently carrying out flood defence works in Shoreham by Sea which, when complete will significantly reduce flood risk to more than 2,300 properties in Shoreham and East Lancing. Work on site commenced in October 2016 and the scheme is now more than 50% complete, with construction expected to finish by the end of 2018. 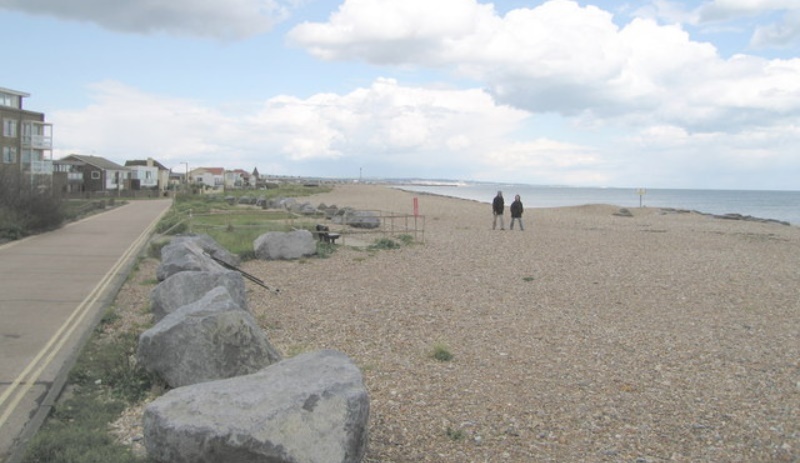 The World’s Biggest Beach Clean is being staged on Sunday 4 March on Shoreham by Sea Beach from 10-12 noon. Click here to find out how to participate. *Be the Change Books publishes a series of children’s books about environmental issues, each with a funny story and clear pointers to what we can all do to make the world a better place.